There are so many watch brands out there and most of them are luxury brands like Tag Heuer and Omega etc but when it comes to top notch quality and superior standards, one thing is for sure that no one can beat Hublot. Yes, you read it right and it wouldn’t be wrong to say that right now one of the most famous and the most used luxury brands out there is Hublot. The one thing that distinguishes this brand is the fact that Hublot always comes with up with unique designs and their watches are always up to the mark. Unlike the other brands, you won’t ever come across a Hublot watch that will make you say the word “copycat”. Another reason why Hublot watches are the best is that this brand comes with a lot of history. Carlo Crocco was the man who found Hublot in the year 1980 and since then, this brand has been making headlines due to the quality they serve and the designs they have that are something to drool over. Now, if you are someone who is about to buy a Hublot watch and if you want to know this brand properly first before spending thousands of dollars then yes, you are at the right place, reading the right article. We are now going to jot down some of the best things that you probably never knew about Hublot. So, pay all the attention you can if you really are interested in this watch brand. When it comes to the watchmaking industry, know that Hublot is world famous for making watches with the most unusual possible materials. As an example, you can check out their Magic Gold watches that are made up of gold alloy that is infused with none other than ceramic. Yes, you read it right, it’s one crazy combination, no? Well, that’s what Hublot actually is about. They come up with ideas that no one can ever even think of. Yes, you read it right! The first rubber strap watch was introduced by Hublot and if you love rubber straps then yes, you need to thank Hublot and its founder Carlo for that. The first rubber strap watch was introduced in the year 1980 and unfortunately, not a lot of people liked the idea of such a watch. But then miracles happen in the same world we live in and same happened for Hublot because its strap watches got a lot of success in the very first year of the launch. Bernie Ecclestone, the One Formula Boss actually got mugged and attacked by a group of people and well, the robbers even took his limited edition watch of Hublot. Now, here’s the fun part that instead of reporting the robbery, Bernie Ecclestone took a picture of his injured face and then sent it to the company Hublot asking them to start a campaign that says “see, what people do for a Hublot?”. Yes, it was one weird incident but as far as Bernie himself was fine with it then who are we to say anything?. 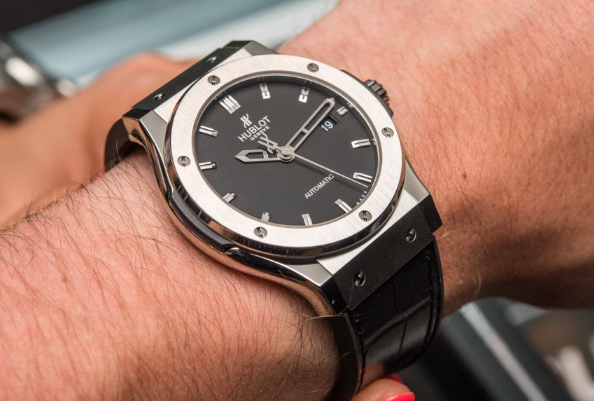 These are some of the things we are sure that you never knew about Hublot. Well, we hope we added some useful information in your brain. So, now without wasting anymore time, if you are actually heading to buy a Hublot then do it right away because we know you are going to love it.